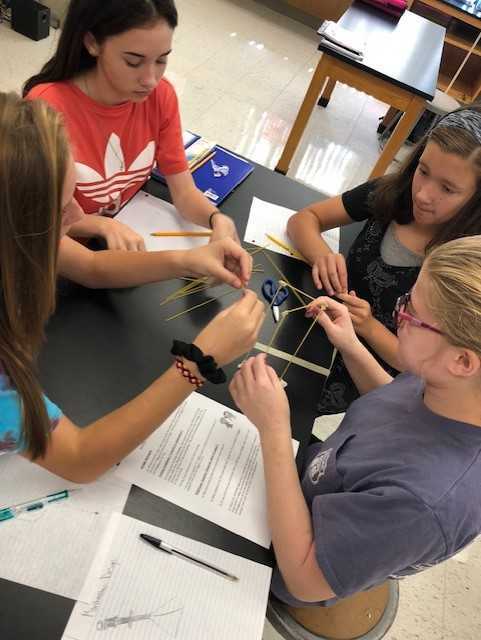 Students will have many opportunities for hands-on, collaboration this year in Science. 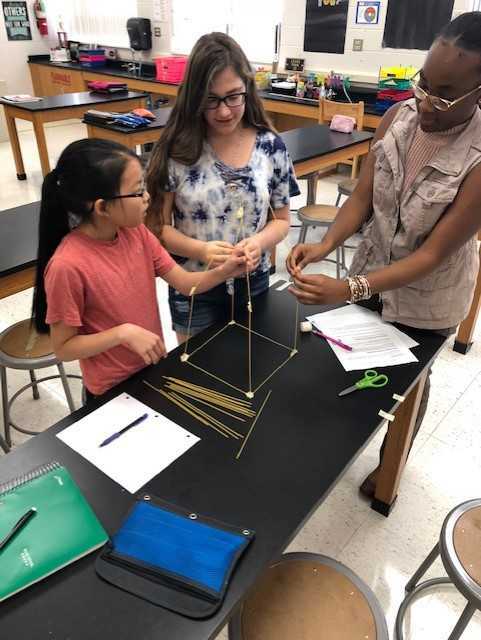 Our first opportunity to work together to build positive relationships with our lab-mates occurred during the Marshmallow Tower Challenge. 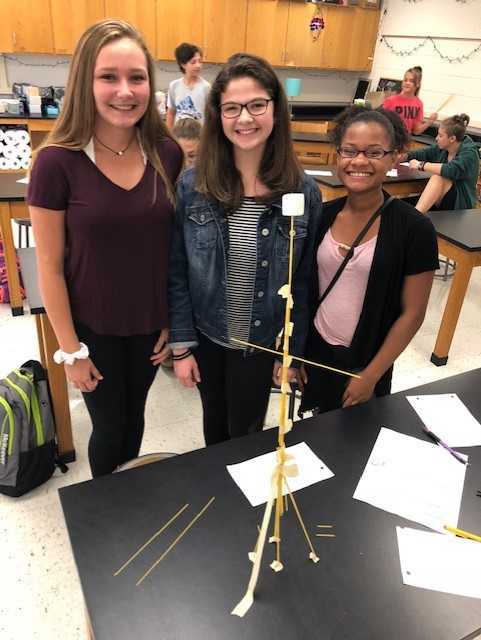 The teams had 15 minutes to design the tallest free-standing tower using only spaghetti, tape and a string. The tower had to support one giant marshmallow at the top. The students worked well under the pressure! Great job, Mud Turtles!